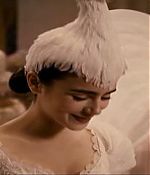 Collins’ recent TV roles include starring as Fantine in the BBC’s “Les Misérables” opposite David Oyelowo and Dominic West. 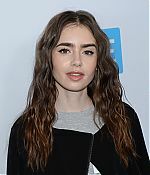 She also recently starred in the Amazon drama series “The Last Tycoon.” On the film side, Collins is known for her roles in “Rules Don’t Apply,” “The Mortal Instruments: City of Bones,” “Mirror, Mirror,” and “Extremely Wicked, Shockingly Evil, and Vile,” the last of which debuted at the Sundance Film Festival in January. She will also star in the upcoming J.R.R. Tolkien biopic opposite Nicholas Hoult. It was also announced in September that Star’s current series “Younger” would be moving from its home of five seasons–TV Land–to Paramount Network beginning with its sixth season. However, sources now say that the series will remain on TV Land instead. Since rebranding from Spike TV last year, Paramount Network’s new shows include the Kevin Costner-led drama series “Yellowstone” as well as Spike holdovers like “Ink Master,” “Bar Rescue,” and “Lip Sync Battle.” Tracy Oliver’s series adaptation of “The First Wives Club” was also originally set up at Paramount Network, but that show was shifted to BET in November. That show had previously been in development at TV Land before moving to Paramount Network. 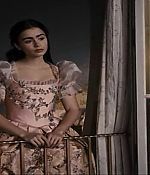 “American Woman”–which was originally developed at TV Land–and the TV Land series “Nobodies” moved over to Paramount Network after the rebrand but were subsequently canceled. 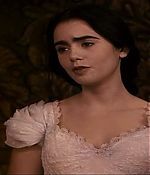 Hello everyone I have add Mirror Mirror Movie Captures to the Gallery. Check out the official Extremely Wicked, Shockingly Evil and Vile trailer starring Zac Efron and Lily Collinson! Let us know what you think in the comments below. 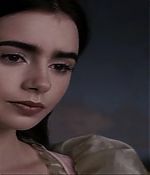 Tonight Lily attend the Met Gala 2018 Heavenly Bodies Fashion and The Catholic Imagination Costume. I have add photos form today’s April WE Day California to our gallery. 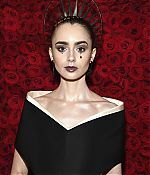 On April 05 Lily attended the Cartiers Bold and Fearless Celebration in San Franciscos. I have add some photos from the event to the Gallery.